One of the most striking characteristics of Sai Baba of Shirdi, is the appreciating and acknowledging, the qualities of devotion, of Bhakti, of Faith in the devotees. Sai Baba always acknowledged these qualities to the visitors of Shirdi regardless of the religion they belonged to, regardless of the faith in Guru or form of God they worshiped or had faith in. To any body belonging to Muslim religion example his beloved devotee Abdul Sai Baba would ask to read Holy Koran, and perform Namaz, to Bhaktas of Shiva he would encourage the worship to Shiv Linga as he did with his beloved devotee Megha, to Bhaktas of Krishna and Rama, he gave them Darshans in those forms, to various devotees of Saint and Sages Sai Baba gave them darshans in the form of their respective Gurus and asked them to keep the faith. Many a times Sri Sai Baba installed faith in those who did not have any faith. Most of us, on the contrary create discriminations and conflicts by looking at the following of particular religion, particular God, particular Sage or Saint, particular theories about God, forgetting the essential qualities of devotion and love for God and Spirituality. This quality of creating conflict in our mind becomes a hamper to our own spirituality and Love for God. How easily we forget what Sai Baba living in the Shirdi, showed through a living example. Not only this. Sai Baba also appreciated and acknowledged, the faith, the worship, the love and devotion, shown to His form in pictures and idols. True love for God and Spirituality and true devotion always gets a push by Sai Baba. One incident that happened when Sai Baba used to stay in Shirdi in flesh and blood explains this well. 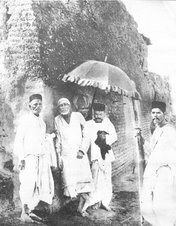 Babasaheb Tarkhad formally follower of a particular Theories of God, called Prathna Samaj, Was a staunch devotee of Sai Baba of Shirdi. All the theories of God are very good and respectable as it creates love of God and devotion. Whatever the way, if it is way of melting and merging in God, and thus benefiting the humankind, it is respectable. And also it is true that God being limitless and infinite can never be caged, can never be imprisoned in any or all the theories spun about and around God. Here also, we find many a times, fighting that only my theory is better than the other’s theory, not remembering that what theories are pointing to is much more important than the theory itself. Also Sai Baba explained this, while the dialogue on Bhagwat Gita with Nanasaheb Chandorkar. Only a single dialogue has been recorded which has been described in Sri Sai SatCharitra in chapters 39 and 50. From that dialogue, a single question From Sai Baba “Why does Krishna refer Arjun to Tattwadarshis (the seers of Truth, or God, or whatever one may name it) to do his prostration, interrogation and service? Was not Krishna, a Tattwadarshi, in fact Gyan (Knowledge, Truth) itself.”, explains a lot. Further in Shri Sai SatCharitra it is stated that “The SadGuru is Nirguna( formless, Infinite, shoreless) , Sat-Chit-Ananda ( Truth, Consciousness, Bliss). He has indeed taken human form to elevate mankind and raise the world. But his real Nirguna nature is not destroyed thereby, even a bit. His being (or reality), divine power and wisdom remain undiminished. The disciple also is in fact of the same Nirguna. But, it is overlaid by the effect of the samaskaras of innumerable births in the shape of ignorance, which hides from his view that he is Shuddha Chaitanya (pure consciousness) (see B.G. Ch. V-15). 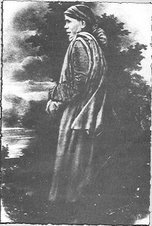 As stated therein, he gets the impressions – that I am Jiva, a creature, humble and poor." The Guru has to root out these offshoots of ignorance and has to give upadesh or instruction.” So in reality all the teachings are and theories of God points to the reality. And to make us aware of our ignorance towards the reality, so that we might be just humble enough to accept the fact that we are ignorant, as far as God is concerned and start preparing to melt and merge into God. Now coming back to the story, Babasaheb Tarkhad’s son love to perform the puja (worship) of Shirdi Sai Baba’s picture. 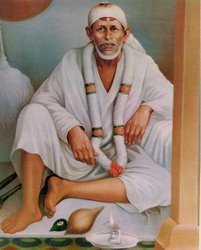 His devotion to the worship was so great, that he denied visiting Shirdi and staying there with Sai Baba, during the days of summer vacation. As he thought that his father being Prathna Samajist will not care to perform the puja (Worship) of Sai Baba’s picture back at their home in Bandra in Bombay (now Mumbai). He however god ready to meet his God in person after his Father gave him the assurance, that he will be performing the puja or worship exactly the way it was being done regularly by his son. The son and his mother left for Shirdi on Friday night. Next day (Saturday) Mr. Tarkhad got up early, took his bath and before proceeding with the Puja, prostrated himself before the Shrine and said - "Baba, I am going to perform the Puja exactly as my son has been doing, but please let it not be a formal drill." After he performed the Puja, he offered a few pieces of lump-sugar as naivedya (offering), which were distributed at the time of the lunch. It went on well for three days until Monday. Mr. Tarkhad could feel a new confidence in himself. Next day, Tuesday Mr. Tarkhad perform the Pooja (Worship of Shri Sai Baba), in the usual way and left for the work. Coming back in noon for lunch, he found that there was no prasad (worship offering of food), to partake of when the meal was served. 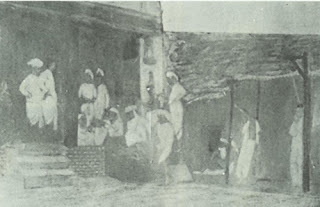 On inquiring about it, it was found that he had forgot to offer the food to Shree Sai Baba during the morning worship. 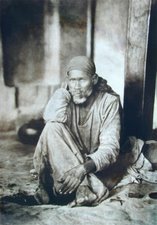 After hearing that he left his seat and prostrated himself before the Shrine, expressed his regret, at the same time chiding Shri Sai Baba for the want of guidance in making the whole affair a matter of mere drill. Then he wrote a letter to his son stating the facts and requested him to lay it before Sai Baba's feet and ask His pardon for his neglect. 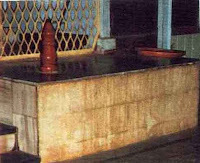 At the same time, when the Noon Aarti was about to start in Shirdi, Sai Baba said to Mrs. Tarkhad, "Mother, I had been to your house in Bandra, with a view to having something to eat. I found the door locked. I somehow got an entrance inside and found to My regret, that Bhau (Mr. Tarkhad) had left nothing for Me to eat. So I have returned from there without eating anything." The son got the idea and that something was wrong in the worship back there at his home in Bandra. 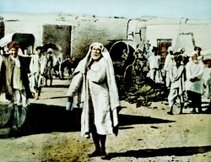 So he immediately asked his God Shri Sai Baba the permission to go home. Sri Sai Baba did not grant the permission for the same, but he allowed him to perform his Puja, in Shirdi itself. The son later wrote a letter to his father about the incident that happened in Shirdi and asking him not to neglect puja at home. Both the letters of the father and the son were delivered to the respective parties the next day. 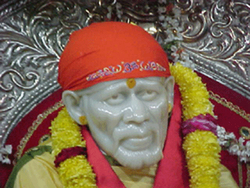 Sai Baba thus acknowledged the love and devotion shown by the son. He showed the fact that he personally came to partake the offerings. 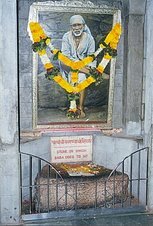 offer Naiveday to Baba in this photograph" - you shall find the photo graph in "http://saileelas.org/books/AMBROSIA.htm". Very good book. Please go thru it. The pictures of sai are Awesome. Thanks a lot Saiparthasarathyji for providing a valuable link. Saibaba.. i think there is no word in anywhere to describe sainath bcoz saibaba is everywhere in water, air, land and in us also. 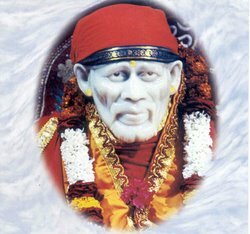 if we look to our hearts we ll find saibaba... and i thank sainath that i m a part of there body..